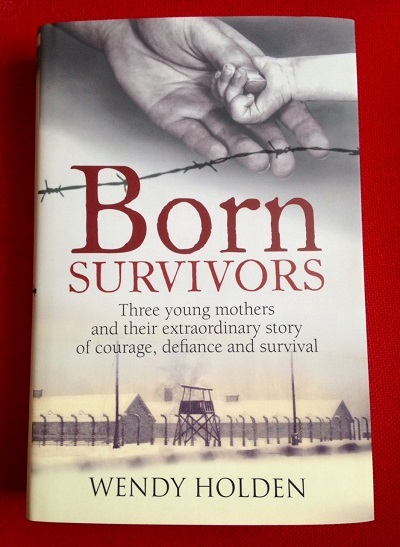 In the Fourth of a series of Meet the Author Interviews I talk to Wendy Holden about Born Survivors and the story of three courageous women who defied death to bring life and why this has become her ‘legacy’ work. You have written a number of historical books, what made you want to write about the three incredible and brave women? I came across an online obituary of a woman who’d been in Auschwitz and who’d had a baby there that had died. It made me realise that I had never before read a book that gave a full account of any babies born during the Holocaust who had survived. I was staggered to discover that in 70 years no such book had been written to my knowledge, so I decided to investigate further. Born Survivors is about three women. Priska, Rachel and Anka who were all pregnant when they entered Auschwitz II-Birkenau. How did you come across their stories? My research first led me to Eva, Anka’s baby, who happened to live an hour from me in Cambridge, England. After spending an emotional day with her as she told me about her mother, I asked if she would allow me the privilege of writing her story and that I believed it to be unique. She told me she had been waiting for me for 70 years but that five years previously she had discovered almost by chance that two other mothers who had shared the same journey as her mother had also given birth to babies who’d survived. Each of them were only children and had since become “siblings of the heart”. Even though it would be three times the research, I knew then that I had to encompass all three stories into one epic volume. What were the main challenges you faced during research and writing Born Survivors? Keeping control of my emotions. It was extremely harrowing to visit Auschwitz and the other key places in the story with my three mothers so fresh in my mind. I have a vivid writer’s imagination and it was painful to see these sites through their eyes and walk in their footsteps knowing how frightened they must have been. But I also knew that unless I did that and felt some of their fear then I wouldn’t be able to convey that to the reader. Their stories are remarkable & incredibly brave, how did they manage to keep their pregnancies secret? Each of them would say that it was luck – luck that they were relatively young, fit and healthy when they were first sent to Auschwitz. Luck that they were thrown inappropriate random baggy clothing that hid their tiny bumps. Luck that they were fed little more than a liquid diet for seven months and each went down to under five stone (70lbs). Luck that they didn’t injure themselves or die of disease or lice infestation along the way. Luck that their pregnancies weren’t spotted by the SS guards who would have sent them back to Auschwitz and Dr Mengele. The three women gave birth in differing circumstances. What happened? Priska gave birth on a plank in the slave labour factory while her SS guards leered and took bets on the gender of the baby. Rachel gave birth in an open coal wagon on a 17-day train journey to be gassed, surrounded by dead or dying women. Anka gave birth on a cart full of dying women at the gates of the camp they were finally sent to. The fact that all three women and their babies survived shows there was an element of luck as well as their mothers’ determination to make sure their babies survived ? As discussed, luck played a huge part but knowing that they had a tiny life growing inside them and hoping that they would one day be reunited with the husbands they had married for love definitely kept them going. In the end how were they liberated? The Nazis had run out of gas by the time the mothers arrived at Mauthausen, the final camp, so they were left to rot or starve in the barracks as the guards fled. A week later the Americans arrived and were horrified to find such conditions in the camp. Although 40,000 prisoners were initially liberated at least 1000 died in the days following liberation – of disease or from eating food after months of ,starvation. How poorly were the mothers and their new babies when they were liberated? At the war’s end, when they were finally allowed to go home, what happened to the three women and their children, with no home to go to, where did they finally settle and call home? Going home was traumatic – they each lost large numbers of their immediate families their homes and possessions had been stolen from them so they had no money and nobody to support them. Rachel ended up in America after a few years in Israel, Priska returned to her home country – now Slovakia – and stayed there until she died, and Anka came to live in Cardiff, UK. Rachel and Anka remarried and all made new lives for themselves and all lived to a ripe old age. We have been talking about Priska, Rachel and Anka and there newborn babies but what happened to their husbands. Did any of them survive the concentration camps? Sadly, all three husbands were murdered by the Nazis and each almost at the end of the war having suffered great privation in ghettos and concentration camps. It was my dream to be able to find out precisely what happened to each of them and where they might be buried but I soon discovered the problem that so many survivors faced which was that it is likely that nobody wil ever know. As the three children grew older did their mothers confide in them as to how and where they were born? Each of them grew up knowing that their fathers were killed during the war. Many of their schoolfriends had also lost parents and grandparents in the war so it didn’t seem that unusual. Mark’s mother told him he had been born on a train and he assumed it was a regular passenger train until he discovered the terrible truth later. None of them discovered the full horror until they were teenagers and mothers fed them snippets of information over the years. The story of Priska, Rachel and Anka and giving birth to their children under the most horrendous conditions is one of courage and hope, do you think that the fact the women were preganant helped in their determination to survive and give their babies a future? Undoubtedly. I think they emerged from the war with something positive – unlike millions of others. In the early months they didn’t yet know about their husbands and still hoped for the best but by the time they learned the truth, they had small babies to care for and that helped occupy their minds. Have the children been back to the places where they were born? Yes. Priska has been to Freiberg and took Hana with her as a teenager. Mark isn’t sure exactly where he was born on the train but he has driven its route, and Eva has been to Mauthausen many times. Looking back on your experiences during writing Born Survivors, what effect has this had on you? I have developed a great passion for these women and their babies, Born Survivors has become my legacy work and much more than just another book. 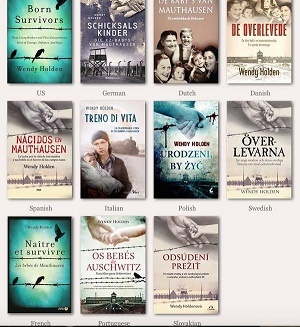 These ‘babies’ will be the last survivors of the Holocaust and I call them the ” voices of the voiceless”. It has been one of the greatest privileges of my life to chronicle what happened to them. I feel humbled. Your book was launched on May 7 and has since been published in 18 Countries and translated into 14 Languages and you are also on a book tour at present, how is this going? It’s all been incredible – moving and emotional and exciting. We launched the book at the camp in Mauthausen, then came to London and appeared on multiple TV and radio shows, then we went to Chicago to launch the book at the Illinois Holocaust Museum and meet the sons of the U.S. Liberator of the camp, whose grave we visited. Then Eva and I have just been in Madrid. Next we go to Portugal and – later in the year – to Slovakia and hopefully the Czech Republic, Poland, Germany and back to the U.S. We have also been invited to the Austrian Embassy in London for a special presentation. I am sure that there will be more invitations for us to talk about these amazing women as word gets out. Any plans for a UK book tour during this year? Eva and I will be attending several book festivals this year – at Dartington Hall in Devon, Henley, Southwold and the Isle of Wight. We will also be on tour as part of Jewish Book Week next year and making multiple other appearances including a book signing at Heffers book store in Eva’s hometown of Cambridge in September. *Stop Press: As this interview was being published it was announced that Born Survivors is to be published in China making the total now 19 territories and 14 languages. 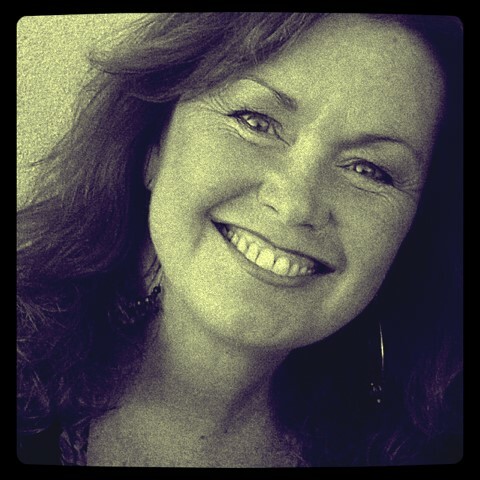 Posted on June 13, 2015, in Meet The Author, Wendy Holden. Bookmark the permalink. Leave a comment.